Are you a visual learner? Do you prefer instructions that show you how to do something  and skip the long-winded explanations? If so, then this book is for you. Open it up and you'll find clear, step-by-step screen shots that show you how to tackle more than 160 Photoshop Elements tasks. Each task-based spread covers a single technique, sure to help you get up and running on Photoshop Elements 12 in no time. Mike Wooldridge (San Francisco, CA) has worked as a Web developer, technology writer, and educator since 1995. 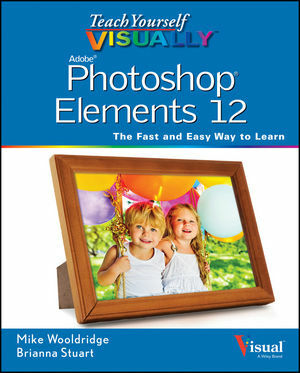 He is the author or co-author of more than a dozen books in the VISUAL series; most recently Teach Yourself VISUALLY Photoshop CC.